Originally likely a Grange Hall, the Parrish Store stood at the intersection of Cornwallis and Erwin Roads until ~1970, when Cornwallis was re-aligned and the store demolished. I grew up near the area of Cornwallis and Erwin. We always referred to this store as "Copeland"s store. The store that once stood at the southwest corner of Erwin Road and Cornwallis Road was likely built in the early 20th century. David Southern believes the building was once a Grange Hall. 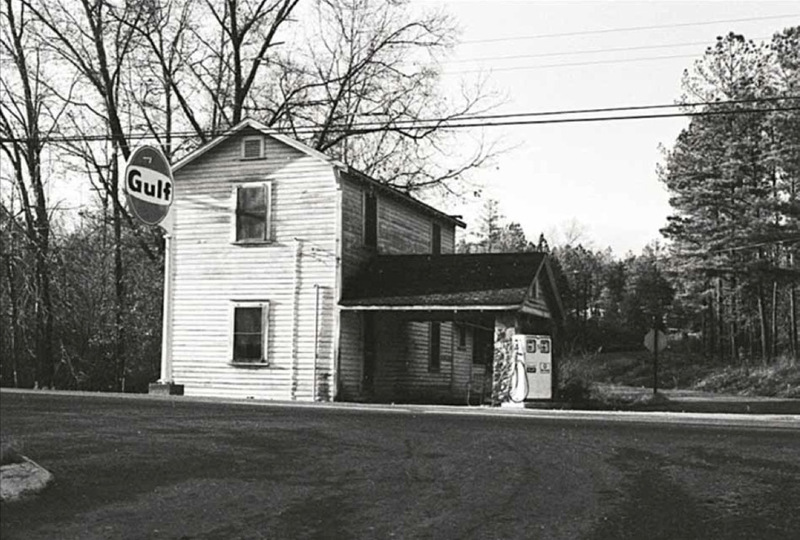 By the 1960s, it was the Parrish Store. 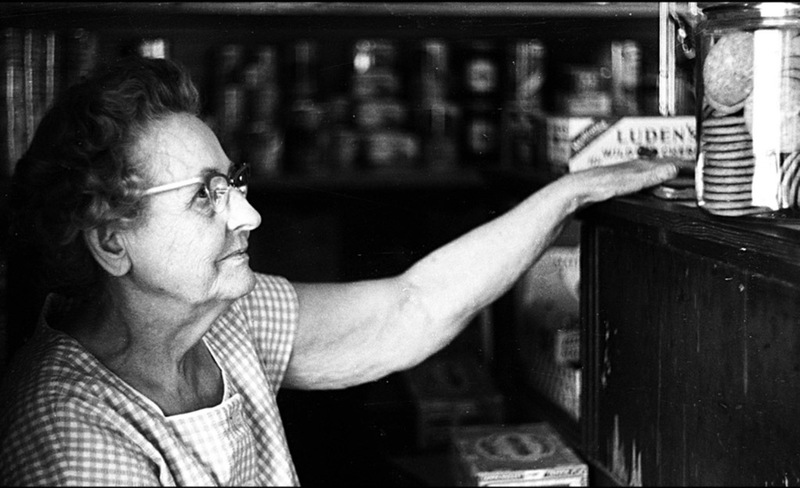 "Mr Gooch owned or at least operated the Cornwallis / Erwin Rd Store circa 1968-9. Old cigar smoking white hired man with a funny laugh. Died around that same time of a heart attack as I recall. We would ride our dirt bikes there and shoot the breeze with him often while drinking Coca Colas." 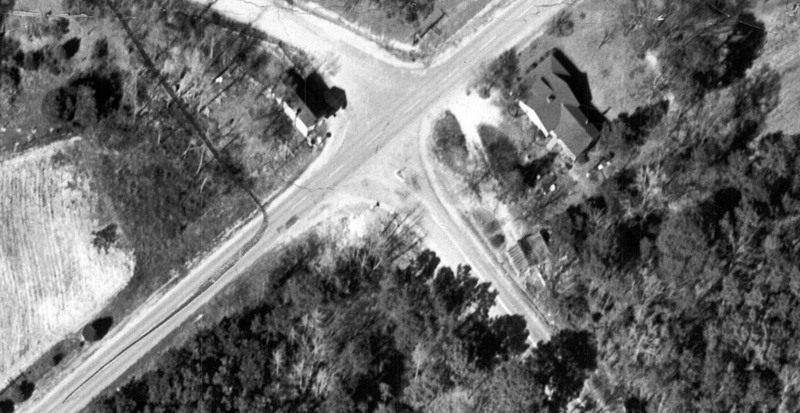 In 1970 Cornwallis Road was re-aligned to 'fix' the offset visible in the 1959 aerial above - the Parrish Store was demolished.